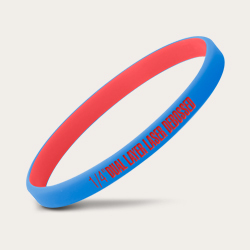 If you’re planning a big event, or you want to build your brand via a cheap and effective promotional strategy, then buying wholesale wristbands is often the smart choice. Here at Amazing Wristbands, we reward customers who buy their rubber and silicone bracelets in bulk, in the form of some great discounts! If you want an estimate of how much it will cost to buy your quality, customized silicone or rubber bracelets, then our pricing calculator will give you a good idea. Simply enter your desired amount, and it will give you a good idea of how much all of our different types of wristbands are likely to cost. As you can see if you try the calculator out, you’ll benefit hugely from making larger orders with us. 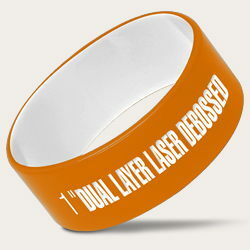 With free shipping on all US orders, there’s never been a better time for ordering your bulk wristbands with us. Most orders take 5 - 7 business days, but for those situations when time is of the essence and you need your products urgently, you also have the option of paying a little extra for our ultra-convenient rush orders, which can get to you in as little as 24 hours! 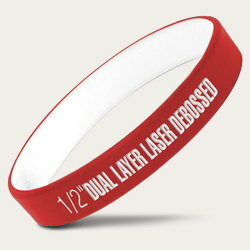 Simply customize your order, then say hello to great value, quality wristbands.